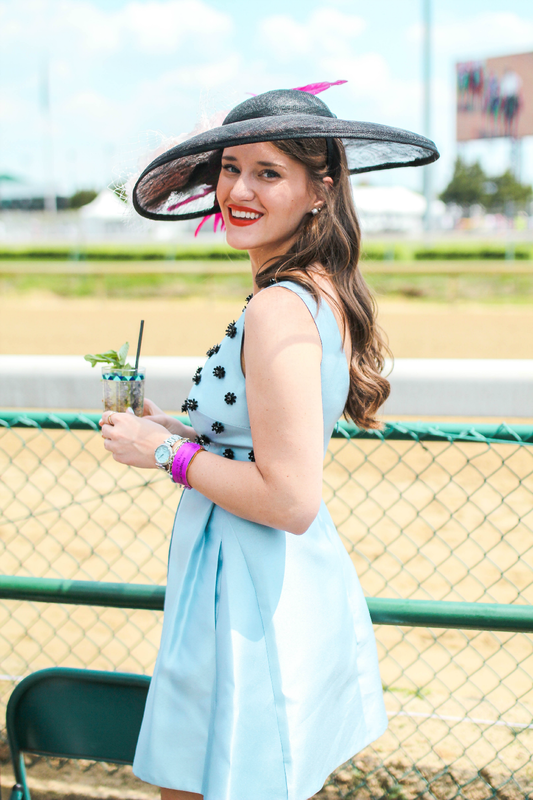 Today I'm sharing my final (and official) look from the Kentucky Derby! 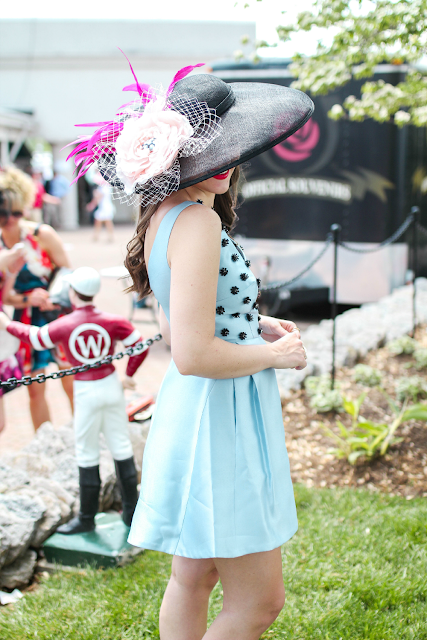 This was our second year at the Derby and, believe it or not, it was better than the first. You can read all about the weekend in my recap. Going to school in Lexington, horse races were a part of our weekends. It was always so fun to dress up and be at the track for the day. But for Derby, everyone kicks it up a notch. 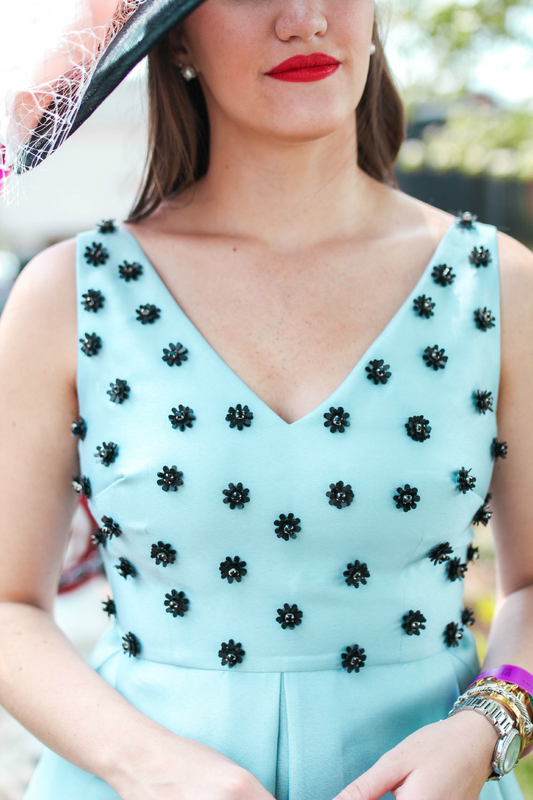 You put on your biggest hat, your best dress and make your smartest bets. I love the whole day and we couldn't have asked for better weather! 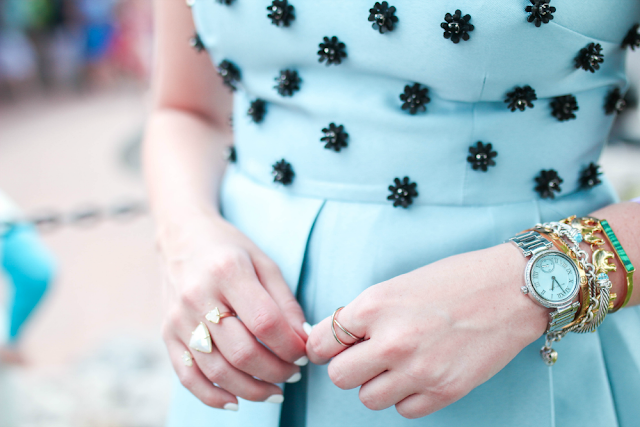 I wore this Cynthia Rowley dress, which seriously fit like a glove (wearing a size 6). 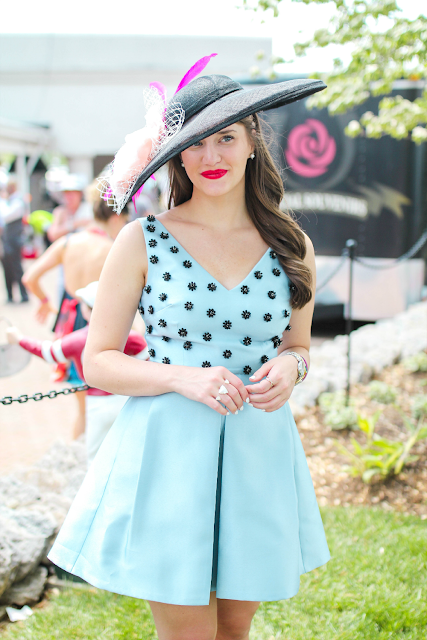 The color and material of the dress were perfect for the Derby. And the dress has pockets so you know I was totally in. I also worked with Head Candi (the same hat company I wore last year) to make a custom hat for the big day! She was so amazing to work with and created a beauttiiiffuulllll hat. If you're ever in the market for a hat or fascinator, I would definitely check her out! You can check out what I wore to Oaks here! You look gorgeous! I am in love with that dress! Love that dress! So simple & classic! I am in LOVE with your outfit! That dress and hat are amazing! And the red lips! Fab! You look so elegant and gorgeous here! I love how your hat pulls together the whole look!